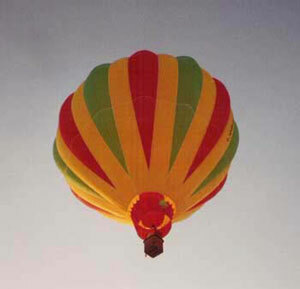 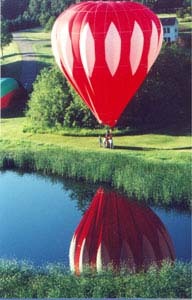 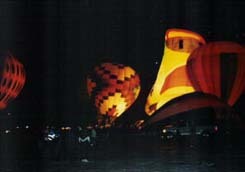 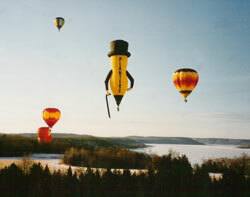 In 1993 I began to learn the exciting sport of Hot Air Ballooning. 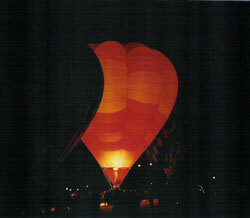 My friend Jim had a balloon called the Tangerine Dream which held only two people. 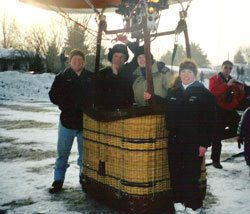 I joined the crew and the excitement began. 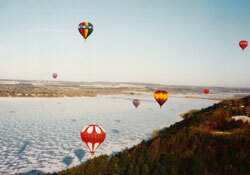 My first flight was that fall, taking off from Afton, sailing across the St. Croix River and landing in Wis. 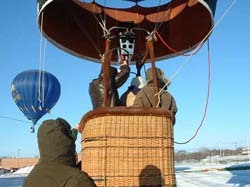 The day was warm and winds were mild. 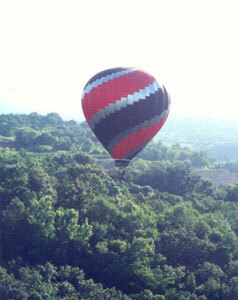 We had to ascend to a height to catch a breeze strong enough to get us over the river. 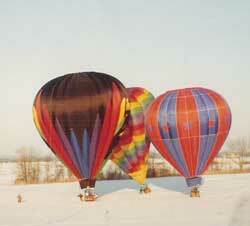 With fuel running low we made it over and landed in a farmers field. 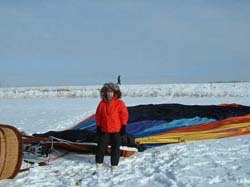 The ground crew pulled us over the fence and onto a dirt road where we let her down and packed her up. 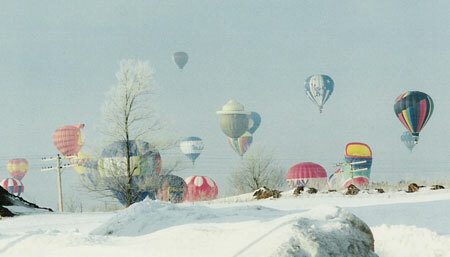 It was a most wonderful trip and the first of many. 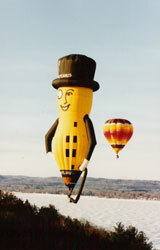 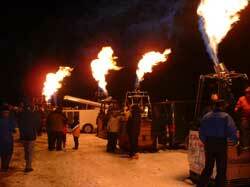 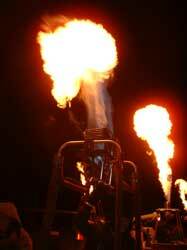 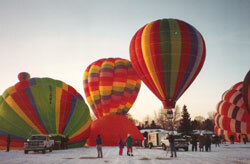 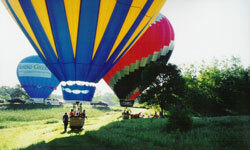 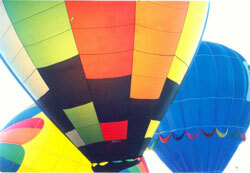 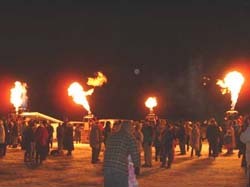 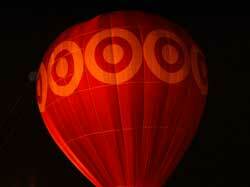 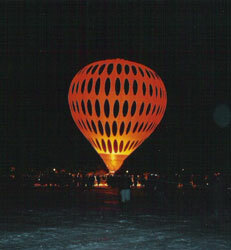 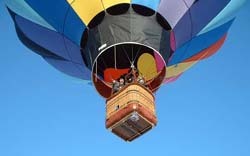 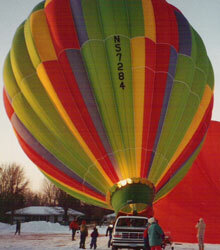 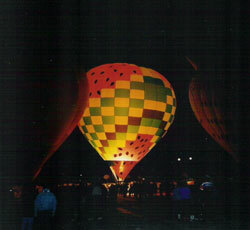 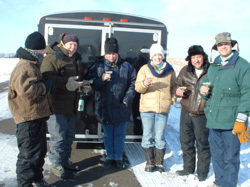 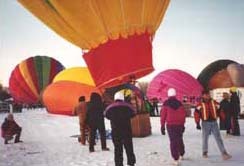 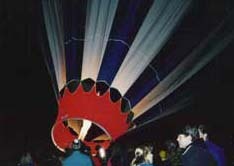 Each year in February we fly in the Hudson Hot Air Affair, weather permitting. 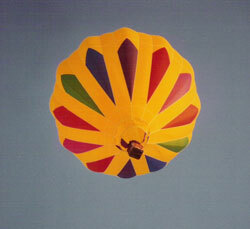 These are some of my favorite shots throughout the years.